Indigo Deli which opened in New Delhi after much fanfare now has a fun new offering for patrons, making visiting the space as exciting as the food! If you’re planning a lazy lunch with your gang of girls, a large and extravagant family get-together or a casual business meeting with your office team - The Deli’s Community Menu is your answer! Specially designed for larger groups of 8 – 12 people, the hearty 5 course sharing menu features bowls of soup, platters of fresh salads, pizzas to be shared, individual main courses and an assortment of desserts. What’s more, the special menu changes each day! The menu includes the Soup of the day; for Salads, the Citrus Salad, Panzanella, Grilled Vegetables and Greens, Caesar Salad; for Pizzas, Sundried Tomato, Olives & Capers, Mushroom and Spinach, Spanish Chorizo, BBQ Chicken & Cheddar; for Mains, choose from the Day’s special fish, pasta and more. Finish your meal with a large, delicious cake for the table and an assortment of our rich, homemade ice-creams in flavours such as Butter Pecan, Banana Mocha, Sour Cherry & White Chocolate. 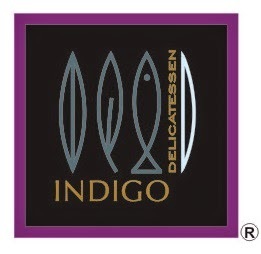 Indigo Deli invites you to celebrate togetherness over great food and a whole lot of laughs. Happy sharing! Available for lunch only from Monday to Thursday for groups of 8 – 12 people.